This image, from Astronomy Picture of the Day, reminds me of the beauty all around us, throughout the cosmos, if only we can see it. 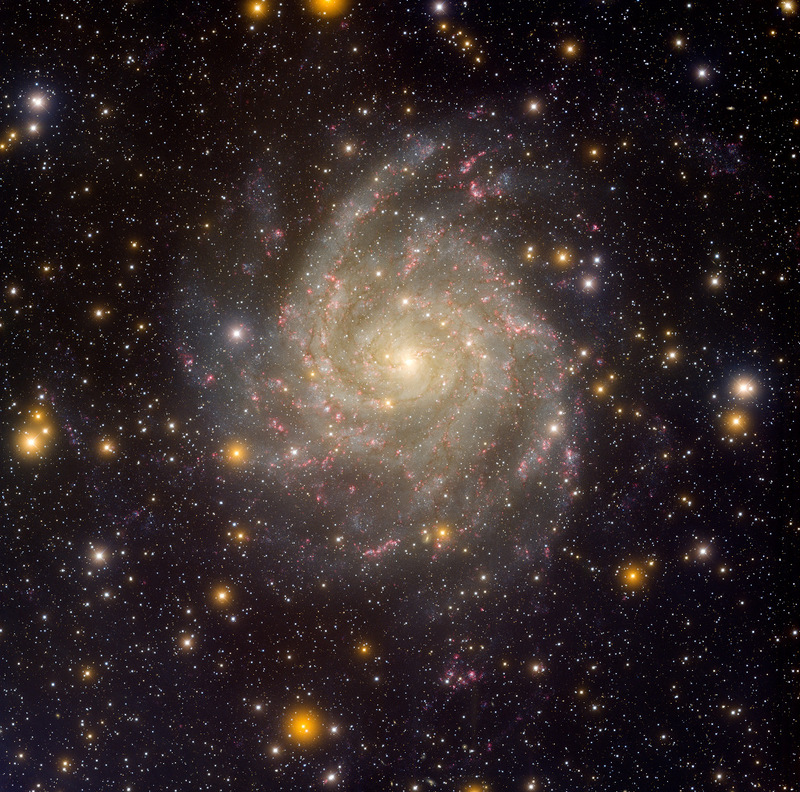 The gorgeous spiral galaxy, IC 342, is usually not visible because it lies on the plane of the Milky Way, and all those stars and dust obscure the view. The pink areas mark regions of star formation, perhaps a fairly recent burst in activity. It's thought that IC 342, which really deserves a name fitting to its glory, may have gravitationally influenced the evolution of the local group of galaxies and the Milky Way.